The energy usage that goes into construction materials is high. However, you can make up for this energy consumption by harnessing the power of today’s technology to ensure your home does not continue to use lots of energy once it is lived in. Anyone considering their own new-build home should look into technologies to make their home more energy efficient and to protect environment, too. There are two types of solar array that are common in New Zealand. Both can be mounted onto your home’s roof. 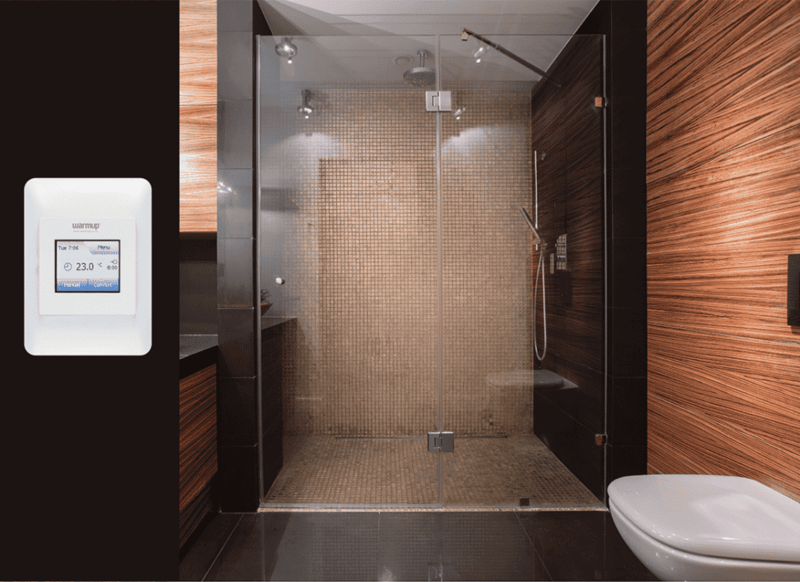 The first connects to your home’s hot water system and helps to lower your energy consumption by using the heat of the sun to warm your hot water tank. The other is photovoltaics which are solar panels that generate electrical power. You can use them to run all the appliances in your home. This means you draw less energy from the grid, thereby lowering your energy costs and carbon footprint. Smart technology helps you to use energy in the right way – with as little wastage as possible. Programmable thermostats help you to control your energy usage by not overheating your home and to turn on the heating when you need it. If your plans change, then this sort of smart technology will even allow you to alter your settings remotely via an app. Because heat rises, the best place to install a heating system is in the floor. Electric underfloor heating is particularly effective in new build homes because it can be woven into the fabric of every room with ease. What’s more, you can turn floor heating on in only the rooms that need to be heated and, therefore, retain complete control of how much energy you wish to use. This technology cleverly traps heat inside your home. It functions in a similar way to wall insulation but is designed for your home’s flooring. Multiboards are laid out on your floor and are ideal if you are opting to install underfloor heating. They prevent any losses from heat flowing downwards and ensure your heating system keeps the area above, not below, feeling warm.